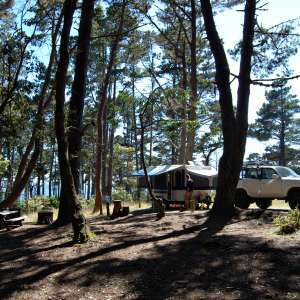 Welcome to private camping and RV parking amongst the redwoods one mile from Mendocino Village. We offer three private campsites for tent camping (you bring the tent) or RVs (Your total combined vehicle length must be no more than 24’ or you might get stuck getting in here, then you’ll be in a fine old pickle.) I provide the land and the trees, you provide everything else you need from tables and chairs to flashlights. The campground is close to town yet very private. 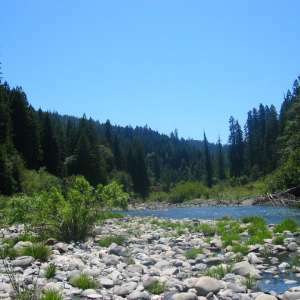 My sprawling, 1.25 acre Mendocino property is beautifully situated in the redwoods for camping. Washer and dryer is available as is wifi (remember, if you don't connect to wifi you won't have to answer any messages.) Facilities are an extremely well maintained porta potty (hey, it's camping!) Sorry but Smokey says "no campfires.” We don't have a guest shower but can direct you to one nearby. Find yourself in nature. Reconnect with what really matters. You can drive directly in, park amongst the redwoods and crack open a beer. The circular drive makes entrance and departure easy. There are three campsites that are private from each other where you can either setup your tent or park your RV. We can help you discover spectacular walks along the ocean bluffs, trails through the redwoods and possibly the meaning of life. 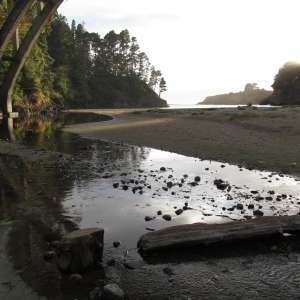 Mendocino is one mile from the campground with restaurants, a well stocked market and Big River Beach. 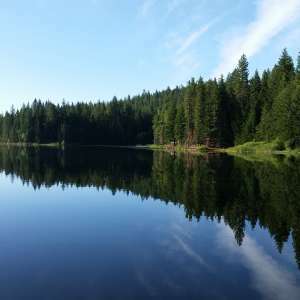 The area offers kayaking, river canoeing, equestrian trail riding, pot growing, places of historic interest, aging hippies living in cabins in the woods and miles of public land for hiking and biking. You can also just sit quietly under the trees and stare blankly into the distance. Put away your next-generation smartphone and experience an unmediated world directly through your senses. You are cordially invited to turn off all media technology and relish the boredom of not much going on. 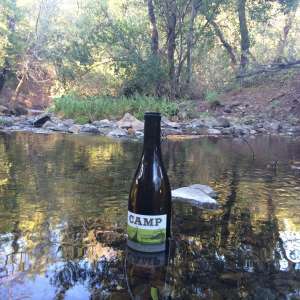 The campsite is a private and QUIET place, an alternative to the unnecessary stresses of contemporary society. Very VERY quiet hours: 08:30 pm to 08:30 am. These hours should be kept even quieter than 08:31 am to 08:29 pm, which are pretty darn quiet anyway. Sorry, Smokey says “no campfires” and Smokey’s The Man. You are cordially invited to become as obsessive as we are and pick up every last little tiny bit of garbage you see while here or anywhere else on the planet. 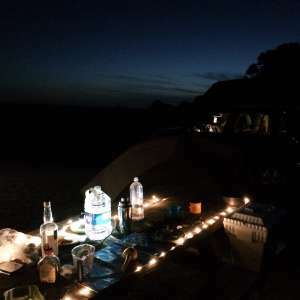 Feel free to express yourself while camping here. Share your stories, insights and ideas with anyone who will listen. It is recommended that you refrain from smoking anything on the property even if you don't inhale. If you're visiting in an RV, please don't run a generator; it scares the birds. Please enjoy the wildlife but don't shoot it. No timber harvesting, gold prospecting or claim staking. Take time to visualize an emerging utopian society all watched over by machines of loving grace. Leave here with an altered perspective on life and what really matters. After your visit feel free to change everything. Connect with yourself, not us: yourself.com | #yourself | You won’t find us on Facebook. RINC Ranch souvenir T-shirts permanently unavailable. The world's most well maintained porta potty is available for your convenience. Have a question? Send Richard a message! Ask about our private rides that we can setup during your visit. 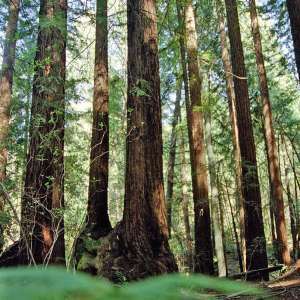 Natural features you'll find at Tent Camping or RV - Mendocino in California. We loved our stay at RINC Ranch! The place is incredibly peaceful, with no neighbors in sight once you enter the property. 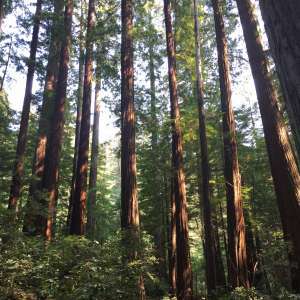 The redwood grove we camped in was the absolute highlight of our visit. Watching the light pour through the trees was a lovely way to end the evening. 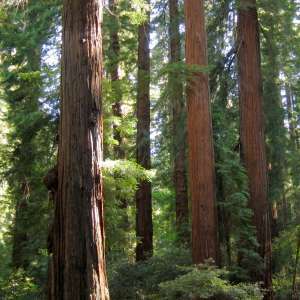 Richard’s home is directly across from the redwood grove where we put our teardrop trailer. He was incredibly welcoming. He gave us a bunch of tips on what to see in the area and even offered us some wine in the evening when we returned from a hike. 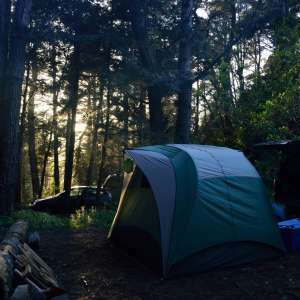 There are so many public lands surrounding Mendocino that you need to check out while you camp here! The drive to the property is also beautiful, we pulled over several times to take photos and take in the views. You’re only one mile from downtown Mendocino which has a lot of cute shops, places to eat, and a grocery store if you need anything for your stay. We hope to be back soon! Richard was a wonderful host and we couldn't recommend him enough! When we arrived, he kindly gave us a lay of the land, and provided tips on nearby hiking trails. 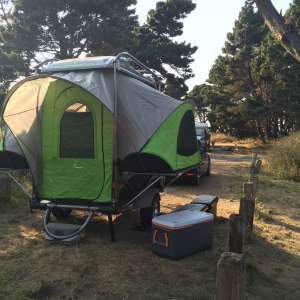 The campsite was as advertised and provided the peace and quiet we were looking for! The location was extremely convenient for getting into town as well. We were interested in learning about Mendocino, and Richard was kind enough to chat over a glass of wine. We had a great time learning more about him and what's happening in this beautiful part of California. An amazing stay. Thank you Richard! We hope to reunion soon :-). We enjoyed our stay for an overnight, convenient and a deal in Mendocino! You are in a neighborhood near the road, and hear a small amount of traffic but it is not bothersome. You don't see other houses so much and feel like you are in the woods. The host took the time to meet us, making us feel welcome, and showed us around. As promised, the port-a-potty was spotless and clean and had a hand washing station. The campground was clean as well. We shared with two other parties, but there was plenty of space and it didn't feel crowded. 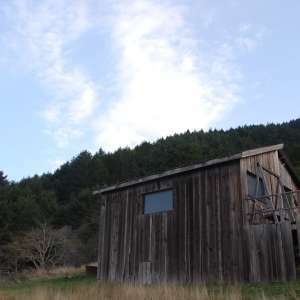 You are very close to the town of Mendocino and the site is easy to get to. We would love to stay again! Check out Pacific Star Winery and enjoy the whale watching there at the same time. Richard was very nice & helpful, even though I had a very short stay. 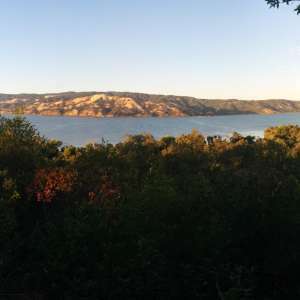 His property is pretty, well maintained & quiet, but also just a mile drive from town. Good pick! Richard was a great host, he coordinated with us and showed us where to get water and where to park and use the bathroom. His place is nestled in the woods in a calm quiet spot. 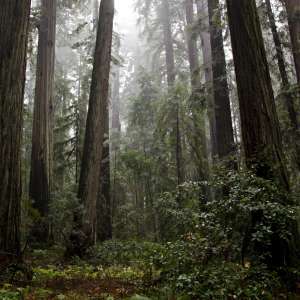 Nice property under the redwoods! It was a lovely spot nestled in the back with the trees. Richard was super responsive and friendly and keeps everything in great shape, from the porto potty to the water spigot. The spot is also very close to town, so we could walk around during the day and explore. My only caveat was that there were quite a lot of mosquitoes during dawn and dusk and we got bitten up pretty badly, so bring bug spray. Lovely place in the Forest near Mendocino. We were very thankfull for Richards Tips for Hiking and getting to know the town- thanks alot! Nice and quiet, close to town, too. I'd stay there again. If you've fully explored and read the information on this listing page and still have questions, you can message Richard here.